IF THERE'S ANYTHING I HAVEN'T ANSWERED HERE, PLEASE FEEL FREE TO ASK WHEN YOU GET IN TOUCH WITH ME! A:I specialize in candid, real life modern portrait photography, and work to make sure I capture the details, emotions and natural expressions that make each session unique and special. People find me friendly, easy-going and pleasant to work with, and I am nearly always smiling while I work because I love what I do. Q: Will you be our Photographer? A: Yes! I'm the one whose photos and style you like, so I'm the one who shoots your session. A: Ko Olina is my home based. I travel and service the island Oahu. A: Nope, but that's not a bad thing. I specialize in on-location photography, which means that - whether your shoot is indoors or outside - I am happy to go to a favorite place of yours to make your images. This means that your images will be unique to you, hold more meaning for you, and really ensure that your photos speak to who you are. Plus, the Hawaii is our backdrop! We've got beautiful, natural, real locations on Oahu. Q: Do you photograph thing other than portraits? A: Yes! Weddings, romantic couple, maternity, high school seniors and headshots are all favorites of mine, I always have a great time telling stories in the event photography. I also freelance as a photo journalist in the United States and around the world. Q: Which days do you photograph portraits? A: Typically I recommend weekdays. Location are less Crowded early mornings and the temperature can be much cooler. Afternoons or evenings (depending on the time of year) to make the best use of our natural light, and because I generally have more availability on these days. Beaches can be crowded on weekends. (Oftentimes on weekends I'm photographing events.) However, that being said, I occasionally have Saturdays or Sundays available. So it is always best to ask. I can be somewhat flexible on your start time, so we can make sure your session also works well with your schedule! Q: Sometimes we feel shy or awkward in photos - will you help with this? A: Absolutely! Believe it or not, I know exactly how you feel and many of my clients feel this way too. I aim for a relaxed, happy feel that shows closeness and interaction, and we'll keep it natural and fun, but it won't be awkward or forced. I'll help direct you enough so you know what to do, but not so much that you won't recognize yourself in the images. And most often I'll be letting things flow naturally without any interruption, so you won't even have to worry about striking a pose. Q: What should the customer know about your pricing (e.g., discounts, fees)? A: My Photo Sessions are base on time and include an SD Card with all of the high-resolution unedited 22-megapixel images right out of the camera. Given at the end of the photo session. Most of my Customers ask... How am I able to offer this? I photograph every Photo Session with a Canon 5D Mark 3 and the Sony A7 3 which have 2 card slots, one card with the Raw files and another with the High-Resolution Jpeg files. I also work with an assortment of Lenses, changing the perspective of the image several times during my Photo Sessions. I pay extra attention to the little details during the Photo Session, which makes a huge difference with the end product. What sets me apart from other Oahu Hawaii Photographers is, I photographed with film for most of my Photography Career, which disciplined me towards getting it right every time, straight out of the camera. Most photographers offer a Disc of some of the Proofs which you will receive in 2 to 3 weeks later. You might be able to find Family Portrait Photographers on Oahu who advertises for less, but I don't think you'll find any Photographer out there who offers a better value. I photograph every photo Session personally and works very hard at every photo session. You will receive a Copyright for Reprinting. Q: What is your typical process for working with a new customer? A: Typically, I first exchange questions and answers with each customer to discuss their vision for the photos session. This includes your how many individuals would be present for the session, preferred package, location, date, time. I also encourage my customers to schedule a phone call so I may answer all of their questions. Once the details are ironed out I'll email you an agreement and invoice. From there I'll send you a link with clothing ideas and how to get ready for your photo session. A: I have been a portrait photographer all of my life. I went to college in the 1980's and studied photography at San Francisco Community College. A: I always loved the vintage family photos. When I was 10 years old, living in Malta, I was inspired by my cousin Victor Caruana who was a portrait photographer in Malta. He is also my mentor. Q: Describe a recent project you are fond of. How long did it take? A: Returning to Malta, my roots after being away for almost 20 years. Photographing the Maltese people and the flavor of the Maltese islands. Q: What advice would you give a customer looking to hire a provider in your area of work? A: Planning is the Key to a successful photo session. I recommend having options for hair in case it might be a windy day. Also, if you are visiting the Hawaiian Islands wearing sunglasses, sunscreen and staying hydrated is also important. Q: What questions should customers think through before talking to professionals about their project? A: Exactly what are their needs. How the images will be used. What type of usage rights they require (exclusive, managed rights etc.) Check references. A: Simply let me know you would like to book a photo shoot session, what dates work best for you and what type of session you are looking for through my contact page or email me. For wedding photography please send me your date, venue location and which wedding package best fits your needs and I will send you the wedding contract with more information. Once we have decided on a photography service, photo session or event date, time, and location. I would then send you via email an agreement. Once the agreement is completed and returned a deposit is made, the photo session or event will be reserved. Q: If we cancel the wedding or photo session, will we receive our deposit back? A: Unfortunately no. Deposits are non-refundable. Use to reserve your date. Once we've reserved your date we do not accept new clients for your date and time. Q: Is the deposit fee applied to the total cost of our package? Q: Does your photography service provide videography services? A: My photography service does not include videography services, but If you are in need of a , I will be more than happy to refer you to a videography service. A: I have shot at hundreds of venues so there is a good chance that I have. If I have not I will be sure to perform a thorough walk-through with you prior to your wedding day. Q: Are there travel fees associated with the Photo Session and/or Wedding Day Events? A: Although I do offer monthly specials and special promotions for weekday photo session. I do not offer discounts on Sunday weddings and off-season weddings. As you know wedding season is almost year round here in beautiful Hawaii so because of that we are shooting throughout the year. Q: How can we get a price list of your packages and special offers? A: My website includes details on all of my portrait / event packages and services. Q: Are the digital files included in our package? A: Yes! Every photography package that I offer includes an SD Card of all the digital images from the session or event. A: I shoot all of the images in both Large Raw and Large Jpeg. The Canon 5D Mark III has the ability to record to 2 different memory card simultaneously. This way you will receive you SD card with all of the high-resolution Images at the end of the photo session or event right out of the camera. Q: Do the unedited digital files included in the packages contain a watermark or logo? A: None of the unedited files you receive at the end of the photo session or event contain a watermark or logo. Q: How quickly can we see the originals? A: After the photo session or event, you will receive a disc or SD card with all the unedited high-resolution jpeg files. Q: How quickly after I receive the unedited originals, do I receive the final edited prints and or files? A: Once you had a chance to review the unedited image files and have decided on which images you would like edited. You would then email me the original image file number. it would take an additional 2 to 3 weeks (depending on the work-flow) to receive the final prints and edited files. Fist come first serve. Q: Do you offer photo retouching services? Q: What is the difference between Level 1 and Level 4; and why are there additional costs for a custom retouch? A: Advanced post-production includes touch ups such as removal of blemishes, removal of bags under eyes, removal of fly-away hairs, etc. On the other hand, custom post production is anything that requires extensive, custom work in Photoshop such as removing entire objects from the scene, changing the size and shape of body parts or other objects in the scene, adding objects to a scene, and other custom work. We charge hourly for the custom post production, as the time required ranges depending on the complexity of the project. Please contact our studio manager for a quote for custom post-production. A: To keep our photo session rates affordable we only accept one (1) credit card payment per customer, per photo session, to secure the photo session date and time. If it is your preference to pay with a credit card for the remaining balance, you can make payment in full at this time. You may choose to pay the balance at the end of the photo session with a check or cash. If you do choose to pay the balance with a credit card. The credit card processing fee will be 3.5 % of the entire purchase price. Q: If I pay for my package in cash will we be able to avoid paying sales tax or receive discounts? A: I do offer gift cards for special occasions and Holiday. Q: Do you offer a refund for gift cards? A: I do not offer a refund for gift cards. A: Yes. These are all considered event photography. We have chosen to focus and excel at event photography, and we would love to cover your celebration. Q: Do you retouch my images? A: The images that you select will be fully and naturally retouched. This means that I enhance your photos, but don't change the overall character of your face. I keep things looking natural and not overly photoshopped. 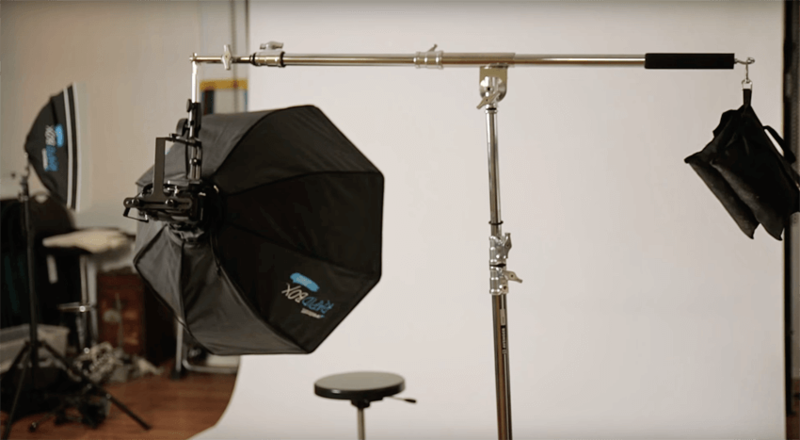 Q: Do you Shoot Headshots in a Studio Setting? A: If you prefer a Studio Setting for your Headshot, I offer a mobile Studio Service and can set-up a Studio at your location. I also offer on-location environmental Headshots, so if you're looking for more of a natural feel, I'm happy to photograph you in either a nature or urban setting (either outdoors or indoors). I'm even happy to photograph you in your office setting, too. Q: Do you photograph Team Headshots? A: Most definitely! And I'm happy to visit your office to make your photos and keep it easy for everyone (or if you've got another location you'd prefer to shoot in, we can talk about that too). We'll plan ahead of time when the best day will be do schedule your team's headshots to make sure everyone who needs to be photographed will be there. I also offer team rates, so please contact me for a custom quote and I'll be happy to send more information your way. Q: Do you ever photograph Headshots, Group Shots & Workplace Enviromental Shots? A: For sure! Many of my business clients are doing total website overhauls and would like to make their online-presence as custom to their business as possible. If you know you need a custom photo package that includes individual team headshots, group shots and images of your workplace environment (or other options not listed here), I'm more than happy to talk to you in detail about your needs and provide you a custom quote. contact me to get your conversation started! Q: Which days do you photograph Headshots? A:A: Typically I recommend weekday. If It is an on-location Headshot session, early mornings, afternoons, or evenings (depending on the time of year) to make the best use of our natural light, and because I generally have more availability on these days. (Oftentimes on weekends I'm photographing events.) I occasionally have Saturdays or Sundays available. So it is always best to ask. I can be flexible on your start time, so we can make sure your session also works well with your schedule! A: Most single headshot sessions are quick and offer coverage for the session and a select number of fully, naturally retouched images along with a usage license. Please visit my Business Headshot Services page for more detailed on pricing and information about your session, or for a custom quote if you're looking to have multiple people photographed. I'm happy to offer team rates as well! A: Generally I recommend clothing that, first and foremost, you are comfortable wearing (it's not fun to be wearing clothes that you're constantly tugging at), and clothing that speaks to who you are. It's a good idea to try to avoid large logos if possible, and jewel tones look great. Don't forget to iron the clothes you'd like to wear, and make sure to use that lint roller, too. If you just can't decide between a couple of looks on the day of your shoot, I'm also happy to provide input on outfit choices day-of. Q: How many photos will I get & do I get the rights to them? A: The number of photos I make varies greatly depending on the length of our session, and what is taking place during your session. I shoot as much as I can without sacrificing quality for quantity, so my clients generally see anywhere from 45 to 200 images. I retain copyright of your images, but you will receive personal and business usage rights for any images that come with your session choice or any additional images you purchase, which means you can print to your heart's content, post your new photos to your website, and share as much on social media as you'd like! Q: Do you have backup Gear and Insurance? A: Absolutely! I'm a stickler about having backup gear, backed up cards, and always carry insurance (both equipment and liability), and then I back it up all over again to multiple places after your session. A: After I've sent you a reply to your inquiry, and when you're ready to book with me, I'll send you an online contract to sign. Once that's been signed and I've received your retainer payment for your session, I'm officially your photographer! I do book my session dates on a first-come first-serve basis. I do not hold dates until I actually receive the retainer and signed contract. If someone else is asking about services on a date you've inquired about, I will be in touch with you to inform you of their interest and make it as fair as possible for all parties. Generally, because I book up quickly, if you can book your session 2 to 3 weeks prior to your ideal date, you are more likely to have a date available to you that will fit best with your schedule. I can sometimes squeeze in last minute sessions so don't be afraid to be in touch if that's you, but it's usually best to plan ahead. Q: What is an engagement session? A: An engagement session is a portrait session of you and your future spouse. Some clients opt for an engagement session to fulfill a specific purpose. Sometimes it's for Save the Date cards, to be displayed at your wedding reception, or to be incorporated into your wedding website. Sometimes it's just a wonderful opportunity to have professional photographs taken of you two together during this time in your lives. The engagement period is a very sweet time in your relationship, and it's lovely to commemorate that with pictures of you both together. Q: How does an engagement shoot work? A: Once you decided on a engagement package, we can then choose a photo session location and time. On the day of the session we will meet at our pre-determined location and get started! We will explore the location for the session. I like a natural feel to my portraits. I am opened to your ideas for posses and I can help you pose if you prefer. For example, I might have you take a walk along the beach, or I might tell you to talk to each other, laugh, or smile. My goal is to capture your real moments, your emotions and interactions with each other. Q: How do we pick a location for our engagement session? A: If you are not familiure with Oahu, I can help by with a few recommendations. I also have a Oahu photo session location page, full of photo samples from each location. If you have a location in mind, I'd love to hear about it! Q: What days and times can our session take place? A: Photo Sessions can be scheduled any day or time of the week. What may be available will depend on my schedule and what is already booked. I believe weekdays are best for Engagement Sessions, especially for a beach location. Beaches can be more crowded on weekends. Sessions times will differ depending on the time of year. A: The most important thing is that you're comfortable, that you feel natural, and that you're wearing something that's representative of who you are. If you're a jeans-and-t-shirt person that is ok too. If you are driving to the location, I don't recommend wearing your clothing while you drive. Arrive early enough to give yourself time to change and feel fresh. Coordination is okay, but I don't encourage matching. The outfit does not need to match that of your future spouse. if we are doing a beach photo session, bring a second outfit in case we get wet. Consider your location when you're deciding on your engagement session outfits. Q: What else should we bring with us to our session? A: I recommend bringing , drinking water, a towel, sunglasses, items for hair in was it is windy, touch up makeup for shine, your ring, props and a change of clothing. Q: Can we bring our dog? Our kids? A: If you have pets or kids, please feel free to include them in your session. However, I strongly suggest limiting their involvement. If you're going to bring pets or kids, you're also going to need to bring someone else to handle them. The best thing is to include them in the beginning of the session, for a brief time, and then having a trusted friend or family member take them home. If you don't, we'll spend valuable session time wrangling them. You won't be able to relax and be together if you've got kids running around that you need to keep an eye on, and it's difficult to cuddle up when you're trying to hold your dog's leash in your free hand! Q: Sometimes we feel shy and awkward in photos - Will you help with this? Q: What if it looks like rain on the day of our session? A: If it rains on the day of our session we would wait, relocate or reschedule the session. Q: How do I book a shoot? A: Here are the four steps necessary for booking a modeling portfolio shoot with me. Set up a pre-shoot meeting.We'll set up a time to meet before your shoot. If you are unable to meet in person, we can have our meeting over the phone. Show up at the pre-shoot meeting. We'll discuss your look and what you'd like to achieve during the shoot. We'll also arrange a shoot date at this time. Pay your deposit. A 50% deposit is required at the pre-shoot meeting to secure your shoot date. You must give 72 hours notice if you wish to rebook your shoot, otherwise your deposit will be lost. The deposit is non-refundable. Bring lots of different clothing options. Clothing that is a bit over-the-top is usually the most fun to work with and will give you the best results in photos. Bring some music that you like to listen to. It's not mandatory, but it's fun! A: You can arrive for your shoot in your regular clothes.Avoid wearing constrictive items that will leave pressure marks on your skin. Bring a lot of different clothing items with you to your shoot. It's better to have too many than not enough! We'll help you choose the best outfits for your photos. A: To confirm your shoot date, you must first pay a deposit of 50% of the total cost of the shoot. The deposit is non-refundable, and is due no less than one week before your shoot date. You may reschedule your shoot without losing your deposit if you give at least 72 hours notice. The balance is due at the end of the photo session. A: Proofs are high resolution versions of the photos we took during your photo shoot. They are not watermark. Proofs do not have any touchups or adjustments done to them. Proofs are unedited. Their purpose is to allow you to choose the best photos from the shoot to be finalized. Q: How are my finished photos delivered to me? A:I will provide your finished photos in digital format. The photos will be delivered in high resolution JPG files for printing and web resolution JPG files for sharing on the Internet (social media, profile pictures, emailing to agents, etc.). When your finished photos are ready, I'll email you a link to download the photo package. Q: I'm not a model but I still want to do the shoot. Can I? A: Yes, of course. We can still do a modeling portfolio shoot for you, even if you just want the photos for personal use and never intend to do any professional modeling. (1) Westcott Rapid Box Strip - 10" x 24"
Q: Do you have set photography packages? A: Yes. I do offer a variety of photography packages, for more detail please visit the Oahu portrait packages section of my website. Q: I am planning my wedding from outside of Hawaii; do you know of a good officiant, videographers, florist, make-up artist, and hairstylist? A: Sure I do! s for an Officiant, Transportation, Make-up and hair are available upon request. Q: Does the price of your Photo Sessions include Make-up and Hair? A: Makeup and Hair are not includes in the price of the session, but I do believe that having professional hair and make-up does make a huge difference in the photographs. Q: Do you have any recommendations on what to wear on one of your sessions? A: I recommend, bringing a variety of clothing to the session, but it does depend on the type of session. Revisited some of my images on the site and see what inspires you. Q: Can I change outfits during the photo session? A: Yes, You can change outfit during the photo session. Q: Is changing time part of the photo session time? A: Yes, Changing time is part of the photo session time. Q: Do you have a grace period on photo session? A: I have from 3 to 5 Photo Session per day. Photo sessions run on time and we request that our customers arrive about 10 minutes early. There is not a grace period. A: For family and/or children photo sessions: outfit changes, a drink, favorite toy, special stuffed animal. Please make sure your little one has been fed and had a nap before the photo session for a more comfortable and positive experience. A: If it rains we would either, wait, relocate or reschedule. A: For a variety of reasons, we have to charge for the time in between events. The fact is, we're never truly resting during the day, whether we're backing up images, setting up for the second venue, traveling to the second location, taking venue shots, or making up for lost photo time because of wedding day delays. In many cases, we use that ""downtime"" to take you and your significant other out for a photo session or more family portraits. A: We understand that not everything goes as planned during a wedding. We never pack up before the contracted time, and moreover, we're not leaving on the dot when the contracted time is up. Instead, we will ask you at the end of your contracted time whether or not you would like to extend. If you would like us to stay, we will charge the rates specified in your contract rounded to the closest 15-minute increment. Q: How am I able to view the images onthe SD Card? A: The SD Card is formatted for a Canon Camera and are viewable on any Canon Camera, Mac Computer, Windows Computer, and an Ipad with an SD Card attachment. Q: What size can we print our photo’s up to with our full resolution image on the SD Card? A: In most cases, you can print your photo's up to 20×30 without any quality loss. If you'd like to print larger than 20×30, additional post-production will be required. A: You have the right to reprint images whenever you want, wherever you want. However, you may not sell your images for a profit or publish your images without the written consent of Anthony Calleja Photography. Q: Do you provide the RAW files from my photo session and/or wedding day? A: Each of our packages comes with all of the high-resolution Jpegs on an SD Card, straight out of the camera, (SOOC Images). However, we typically do not provide the RAW files . However if you absolutely want your RAW images, we will provide them to you for an additional fee ranging from $175. to $1,000. or $9. each. A: Yes we do. All of our packages come with all of the high-resolution Jpegs on an SD Card, given at the end of the event or photo session. Q: What if I lose my image SD Card? A: We strongly suggest making a copy of the images on SD Card. There is a $50 image replacement fee if you have lost your SD Card.